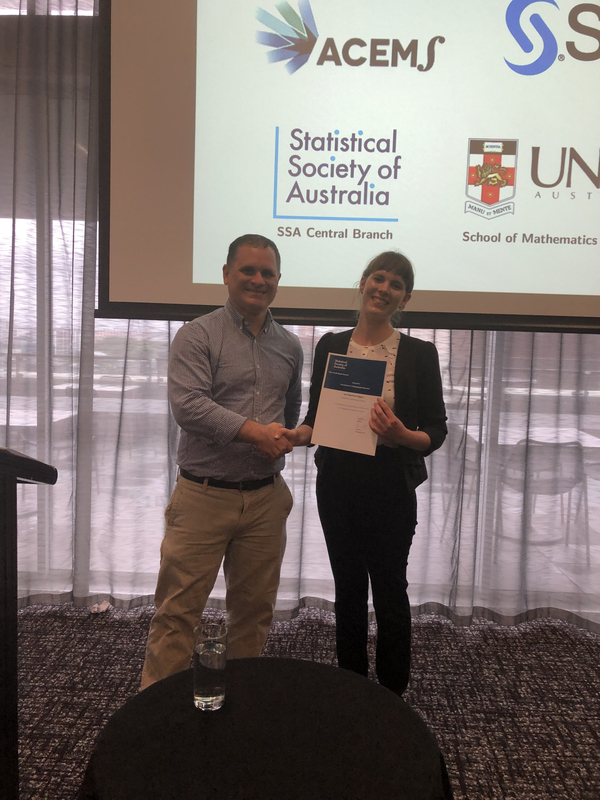 Congratulations to ACEMS PhD Student Tea Espeland Uggen for winning first prize in the J.B. Douglas Postgraduate Awards, presented by the New South Wales branch of the Statistical Society of Australia. Tea is a PhD student with ACEMS at the University of Technology Sydney (UTS). She competed against seven other PhD students across New South Wales universities. Each person gave up to a 20 minute presentation on their research. When it was over, the judges decided Tea had given the best presentation. Tea is in the final year of her PhD and had actually forgotten that the 2018 J.B. Douglas event was coming up in November because of the workload from her PhD. “I knew that the J.B. Douglas is a yearly event for 3rd year PhD students, as several of my PhD colleagues have competed in it previously, and that in my 3rd year I would be eligible to compete. But I was so preoccupied with fixing my algorithm and obtaining my final results that this year’s event had just slipped my mind,” said Tea. Her primary supervisor, Associate Professor Tapan Rai and co-supervisor, Professor Louise Ryan from UTS encouraged her to take part in the competition. “My initial reaction was one of mixed feelings. I was excited about the prospect of representing UTS in the prestigious J.B. Douglas competition and at the same time feeling overwhelmed with my workload, having to also prepare for another significant event only two weeks after the competition - my final stage 3 PhD presentation. But I realised this competition would also be a great opportunity to get some feedback on my research before my stage 3 presentation,” said Tea. Tea’s research involves using natural language processing and machine learning to classify aphasia severity in stroke patients. Aphasia is a communication impairment that occurs in approximately 30% of people that have had a stroke or brain injury. Tea is developing a method to quickly and automatically diagnose the severity of aphasia. “Impact is one of the great strengths of Tea’s work,” said Associate Professor Tapan Rai. 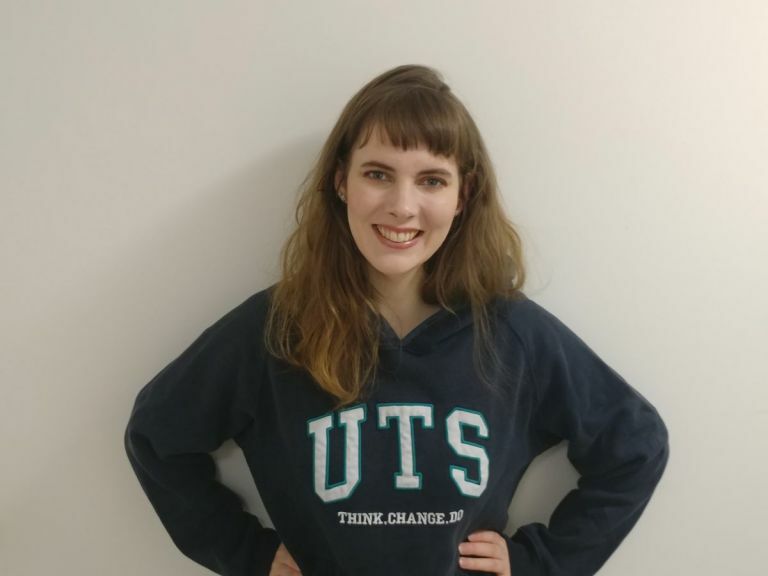 Tea says she prepared for weeks leading up to an internal competition at UTS, where the winner would represent UTS in the official J.B. Douglas competition. Tea won that and took in all the feedback from that UTS presentation, and then spent several more weeks preparing for the official JB Douglas competition. She says winning the JB Douglas award has provided her with some added confidence as she gets ready to finish her PhD. “It’s actually really satisfying winning this, knowing that the decision came from a group of judges that are well versed in statistics and well-known in the field. So yeah, I feel a little bit different now,” said Tea. In addition to the JB Douglas award, Tea was chosen to represent the Australasian region in the Young Statistician Student Showcase at the 2018 International Biometric Conference (IBC 2018) in Barcelona, Spain. She was one of only five students and Early Career Researchers from around the world selected for the showcase.